HTC One Remix - Everything At Once! 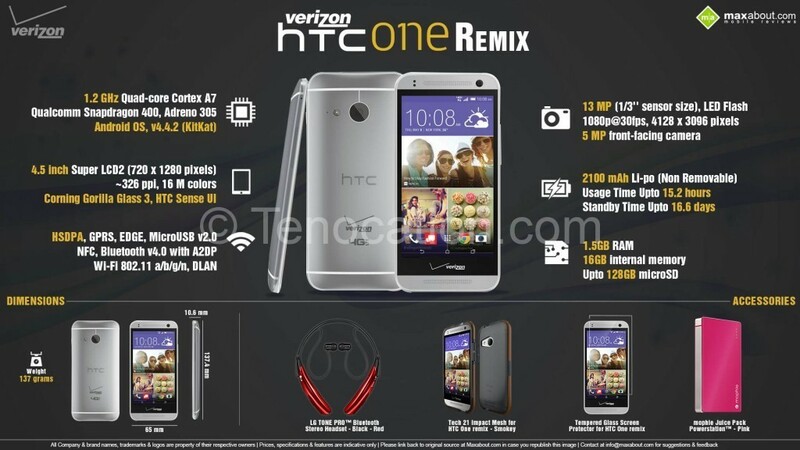 Home » News » HTC One Remix – Everything At Once! 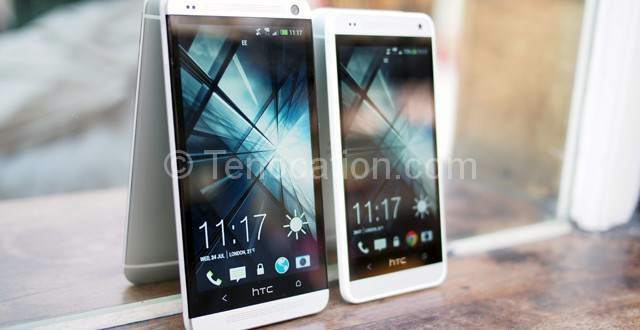 The HTC One Remix is very lightweight weighing around 137 gm with dimensions of 137.4 x 65 x 10.6 mm. the outlook of the handset makes it a one of its own kind. With its 4.5-inch screen and exceptionally well screen resolution of 720 x 1280 pixels, the Remix provides great quality view and in addition, of Corning Gorilla glass the clarity just gets better. The data features of the HTC one Remix are: GPRS, EDGE with speed of EV-DO Rev. A, up to 3.1 Mbps; HSDPA, 14.4 Mbps, HSUPA; LTE, Cat4, 50 Mbps UL, 150 Mbps DL. Also, WLAN Network, NFC and microUSB v2.0 is available. The primary camera of Remix is of whopping 13 mp with the front/ secondary camera of 5 mp! The picture perfect phone also gives you touch-up functions such as adjusting the skin tone, enhancing lights etc for superb selfies. The Operating System (OS) of HTC One Remix is v4.2.2 Kitkat with Qualcomm Snapdragon 400 chipset. Accelerometer, Proximity and Compass are some other feature you can get benefit from free. GPS service is also available to HTC One Remix users. A-GPS, GLONASS can be used to navigate your destination. The android provided Google maps will make you reach your destination faster than ever before, without getting lost. The music and sound quality of this mobile phone is super-class! It comes with front front-facing stereo speakers boosted by built-in amps, bass-to-treble balancing software and huge speaker chambers. The battery life of HTC One Remix is remarkable as well thanks to Li-Po 2100 mAh battery. The HTC One Remix is available in two colors; Gunmetal Grey and Glacial Silver.